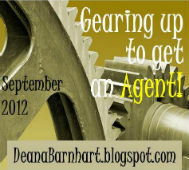 Deana Barnhart is hosting a cool thing for writers called Gearing Up To Get An Agent or GUTGAA for short. Hashtag on twitter and all (#GUTGAA). It is going over several weeks with support for polishing your pitch and finding help with a critique partner. A part of this I'm posting the current version of my pitch/query and opening it up for critiques. UPDATE: BASED ON SOME OF THE GREAT FEEDBACK I'VE RECEIVED THIS IS A NEW VERSION. I HOPE I HAVEN'T RUINED THE VOICE. IT IS CERTAINLY DIFFERENT. CONTINUED FEEDBACK IS APPRECIATED! Remie La Jeunesse keeps asking himself what on Earth he has to complain about. He's rich, immortal and in the prime of his vampiric life at 786. But, weary of the death he’s inflicted and the despair of watching family members die over the centuries, his soul is wearing thin. Happiness is as elusive as faster-than-light travel and Remie is ready to end his life, yet one last obligation remains. Vindication against the treacherous Nollevelle Corporation would be one hell of a way to go out. While executing his program to reclaim the Quantum Jump Gates his company lost, Remie runs headlong into Anneliese, a young woman who disrupts his scheme and forces him to reconsider his priorities. Anneliese Trahan is a damn good pilot and a rising star for Nobloquy, the military arm of Nollevelle. 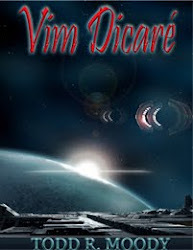 Her career path is on the fast track until the intervention of her former lover derails her plans and sets her on a collision course with a man determined to destroy Nollevelle and her one shot at a starship captaincy. Anne needs to figure out where her loyalties ultimately lie and Remie must determine just how much he’s willing to sacrifice to pull off his plan. The idea of happiness toyed with him but, despite having perfect recall, Remie La Jeunesse couldn’t remember what it actually felt like to be happy anymore. He could clearly remember the details surrounding a moment, like he was viewing an old Polaroid, but not the feeling. Playing the guitar usually offered solace. It gave him a respite from the monotony and melancholy. But even that had lost its flavor lately and today was no different than the last couple. He just wasn’t feeling it. Remie pulled the earplugs out and tossed them into the drawer that sat beneath a climate-controlled display case containing an ancient Spanish acoustic guitar, a plaque on the bottom read “La Guerrera de Cadiz, 1761.” The classic Spanish guitar hung in contrast to the one in the next case, which was a beat up red Stratocaster with black and white cross-stripes, heavily scratched and dotted with cigarette burns. Please to enjoy. Clear Ether! A guy who lived so long [really really long] he lost his spice for life. I like! I have a few comments. Take 'em or leave 'em as you like. Agents seem to really dislike opening a pitch with a question, so you may want to consider revising that. I am confused as to what the connection is between the first and the second paragraph. Could you add some so that I know what the relationship between these two people are? "Playing one of his many guitars usually offered solace." can be "Playing guitar usually offered solace." It's explained in the next paragraph that he has a few of them. Also, I don't know what "La Guerrera de Cadiz, 1761" is. I assume it is a really old guitar from Cadiz, but should I know more than that, or is that enough? Sounds great though. Thank you for sharing. Have a great GUTGAA! Good advise Liz, thanks very much for the comments and taking the time to critique. I actually thought of a way to change it when I went to bed, but was too lazy to get back up. I made a few adjustments. Thanks again! Some good advice here. Even if you'e not "pitching to an agent," these techniques are a help for people writing blurbs for back covers or "product descriptions," as Smashwords calls them. It's difficult to write a hook in a few words about a book containing 60-100 kWords. Thanks Steve, I appreciate the sentiment, thanks for stopping by! Hi, Todd. Great blog and I'm looking forward to following it! Enjoy GUTGAA! Thanks for the kind words, Anthony. I just wish I had discovered GUTGAA a little sooner! You have done a good job fleshing out the characters, but I don't get much sense of the plot. Why does he want to 'payback Nollevelle?' What did they do to him? Hi Michelle, my first attempts focused more on plot, but I've been reading that the internal conflict is the important thing to define in the pitch. I'll see if I can tweak more plot in there. I appreciate you taking the time to read it and leave a comment! Thanks for coming over! That’s what Remie La Jeunesse keeps reminding himself. HE'S SURVIVED THE LAST few decades, but he’s reached the end of the line. Young by Nemesi standards, at 786, but the zing is gone. Nothing brings him joy anymore. Weary of the death [OF LOVED ONES] he’s suffered for the last several centuries, Remie is ready to end his life. YET one last obligation REMAINS. Paying back TREACHEROUS Nollevelle CORPORATION would be a helluva way to go out. Anneliese Trahan is a damn good pilot and a rising star for Nobloquy, the military arm of Nollevelle Corp. Her career path IS on the fast track, but the intervention of HER FORMER lover, REMIE, derails her plans. SOON, SHE'S ON a collision course with HIS determinATION to destroy Nollevelle and HER ONE SHOT at a captaincy. Tricia I think I see you doing a lot of these in the true spirit of polishing our pitches and I thank you not just for mine but for all the others you've been doing. These are great comments. I am revising. =) Thanks again! I'm not usually a huge fan of sci-fi (I seem to have a love it or could care less attitude to the genre)but the pitch for your store truly interested me. Based on your pitch, I would pick up this book. I'm jealous of the fact that you've been able to establish an immediate connection between the pitch reader and yourself, it's something I really struggle with. As far as starting the query with a question, I know that there's some agents who hate questions in the pitch and I understand why, but in the case of your story, I think it works. Hi Jess, I am finding that there are a lot of romance and paranormal writers (and paranormal romance writers) out there but a lot fewer science fiction writers, I really love that I was able to connect with you in the pitch. Thanks for the suggestions, I am revising! I'm glad you came by, thanks for the time and the comments! What does an immortal bajillionaire have to complain about? That’s what Remie La Jeunesse keeps asking himself. [SIMPLE SOLUTION TO GETTING THE QUESTION OUT: REMIE LA JEUNESSE KEEPS ASKING HIMSELF WHAT ON EARTH HE HAS TO COMPLAIN ABOUT- "HE'S RICH, IMMORTAL, AND IN THE PRIME OF HIS LIFE AT 781 YEARS" YOU HAVE A GREAT HOOK RIGHT THERE. THEN YOU CAN GO ON TO SHOW THE STAKES YOU HAVE. "BY NEMESI STANDARDDS, REMIE HAS IT GOOD, BUT THE ZING IS GONE AND HE'S READY TO END HIS LIFE. YET, ONE LAST PERSONAL? OBLIGATION REMAINS: GETTING BACK THE TREACHEROUS...] It’s how he’s managed to get by the last few decades, but he’s reached the end of the line. He’s young by Nemesi standards, at 786, but the zing is gone. Weary of the death and despair he’s suffered for the last several centuries, Remie is ready to end his life. Yet, one last obligation remains. Paying back the treacherous Nollevelle Corporation would be a helluva way to go out. Anneliese Trahan is a damn good pilot and a rising star for Nobloquy, the military arm of Nollevelle Corporation. Her career path is on the fast track after leaving the comfort and security of her family trade ship, until the intervention of her former lover derails her plans. Soon, she’s on a collision course with a man determined to destroy Nollevelle and her one shot at a captaincy. Thank you Juliana, some very good stuff in your critique. I've thought about cutting it to one POV in the pitch but Anneliese is half the book and the stories merge near the mid point. I do appreciate the advice though. Thank you so much for taking the time to give me a real critique! Anneliese Trahan is a damn good pilot and a rising star for Nobloquy, the military arm of Nollevelle Corporation. Her career path is on the fast track after leaving the comfort and security of her family trade ship, until the intervention of her former lover derails her plans. Soon, she’s on a collision course with a man determined to destroy Nollevelle and her one shot at a SECURING A COVETED CAPTAIN SLOT. STRUMMING the guitar usually offered solace. It gave him a respite from the monotony and melancholy. But even THIS RELEASE had lost its flavor lately and today was no different than the last couple. He just wasn’t feeling it. Comments: It's an interesting idea... I just watched "In Time", which deals with the idea that living forever isn't such a great plan. I loved the idea, but I wonder what makes this different from that story. As for the query, when I write one, I try to make sure I cover the internal and external goals, motivations and conflicts of my MC. You elude to these in your pitch, but you don't give many specifics to really give me a taste of what your story is about. If you dig a little deeper and add some savory bits, I think you could make your pitch really pop! Sarah this is a very thorough critique with lots of grat advice. I'm trying to gather it all and reconcile everyone's opinion as best I can. I know this took some time and I'll be over to your and give you my best in return. Thanks so much for taking the time to come over and do me this favor! The excerpt is great, only minor issues for me. Do you mean despite HAVING perfect recall (sounded a bit odd). I wouldn't have playing guitar twice - it's not necessary. Just: But even THAT had lost its flavor... Same point for Spanish guitar - just say guitar the second time. Hi Katherine, very insightful, I actually cut off the last line of my original query. Can pitch end in a question? I know everyone is saying don't start with one. Thank you very taking time out of your day to give me a great critique! Query: refers to him suffering death and despair. Has Remie died and come back to life, or is it more accurate to say he's witnessed death and despair (of others)? I'd go with no question at the beginning: "Immortal bajillionaire Remie Le Jeunesse must remind himself daily that he has nothing to complain about." Although I'm worried he'll come off as aloof, elitist, unsympathetic this way. Any way to not mention the word complain -- it's the negative connotation here that worries me. I'd write out "hell of a". I like slang, but I read an article lately suggesting that purposeful misspellings to achieve slang and voice might be considered amateurish. Admittedly, it was in the SCBWI (children's writers) bulletin, but it's made me rethink some slang methods, like creative spellings, especially in queries. It's voicey enough to have "hell of a". I'd stick with writing about her from his POV in the query. Can you get the same -- or different but just as interesting -- info about her across from his POV? First 150: I think you can save some words/pare down some wordiness: sentence 1 -- cut "anymore". Sentence 5 -- cut "and today was no different than the last couple." If the Polaroid was blanched, wouldn't he have trouble seeing the details? Blanched is watered down, soaked and distorted to me. Maybe a different metaphor, one that could allow us a glimpse into a specific memory of a detailed moment? That way we get a little more character too. The drawer that "sat" beneath the glass case is tricky to picture. Could he just toss them on a table that is surrounded by the important glass cases? Give the glass cases their own sentence for increased emphasis. The phrase about the plaque can't be tacked on the way it is; make it it's own sentence or restructure. And finally, I love the guitar descriptions and I think it accomplishes two things: shows indirectly something about Remie's character (that he loves these guitars enough to encase them protectively and to know all their details) AND brings the reader into this distant world of unimaginable things (e.g., being immortal) with a quick degree of immediacy and intimacy (hey, I have something in common with this guy, I know that guitar!) So, I say keep the guitar info, especially if the guitars continue to be a part of who he is. My pitch will be on Deana's site tomorrow. Feel free to go critique-happy on mine too! Good luck with a great story! I have no specific advice, just overarching comments. Your query sounds like it could be sci-fi, or it could be urban fantasy. Try to make the distinction clear. I LOVE the first paragraph of your 150. I would be careful of over-description if too much more of the first page is like the third paragraph (we need more tension to pull us forward), but 150 words is not enough to get the best picture of that sort of thing. Thanks, Laura. 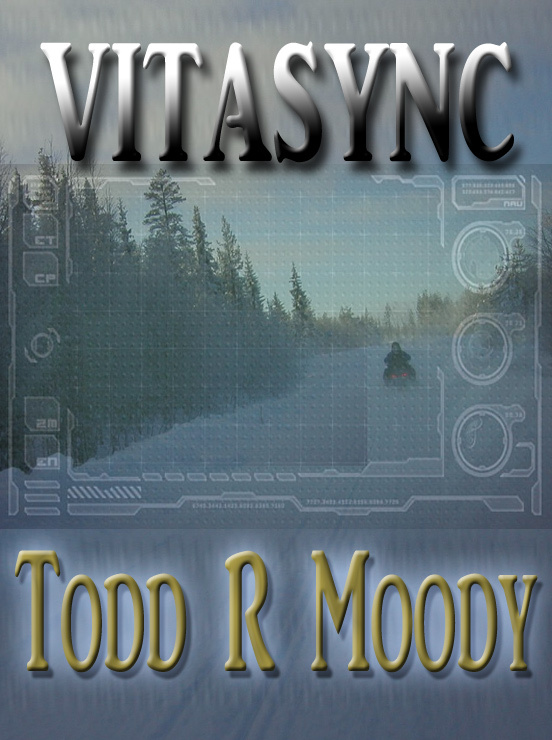 I tired to use a few more SciFi words, I hope it conveys the real intent of the story. The descriptives are kept to a minimum before I jump into the action. Thanks for coming by and leaving a comment! First off, love the title. Second, I want to know how Remie has lived to be so old! If this is a spoiler for the book, don’t include it, but if not it’s an aspect that could really pique a person’s interest. Third, I think the first paragraph is a little wordy. By making it more succinct, you can tell us who Remie is, why he’s cool, and his dilemma in one or two lines, then push us into the action. I really like the detail with the guitar and the cigarette burns in the last paragraph of your 150 words. Charlie, I realized I hadn't put vampire in there anywhere, and although it a scifi version of vampire, not the classic, but caused by an alien phage. it would be dishonest not ot have that in there though. Thanks so much for bringing it to my attention. As far as being wordy, it feels like it is growing and shrinking and growing. i hope it is getting close. =) Thanks for coming by and commenting! Hi, I'm a fellow GUTGAA participant. 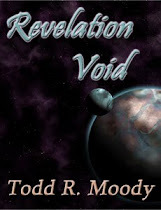 Vamps and sci-fi - nice meshing of genres! I like the query and excerpt - nice job! One small crit - I think you need hyphens between 'faster than light', like this: 'faster-than-light'. Not 100% sure, but it seems it would read better. Good job and good luck! Hyphens added! Thanks so much, Alexia! I'm glad you took the time to visit and leave a comment! The voice is still great in this version of the query and the book. I was confused about the roll of the Nollevelle Corporation. I wasn't sure if you meant pay them back as in give them money he owed them or pay them back as in get revenge. Also, if your genre is sci-fi, maybe include more of the sci-fi elements in your query. Based on your query, it reads more as a fantasy. Thanks for the kind words! I attempted to clarify in the latest iteration, I hope it is not getting too wordy. Thanks so much for your assistance on the pitch! While carrying out his plan to reclaim the Quantum Gates WHAT ARE THEY? his company built, Remie runs headlong into a young woman that blasts his world sideways. Anneliese Trahan is a damn good pilot and a rising star for Nobloquy, the military arm of Nollevelle Corporation. Her career path is on the fast track until the intervention of her former lover derails her plans and sets her on a collision course with a man determined to destroy Nollevelle and her one shot at a captaincy. Will she be the one to finally end Remie’s life or save his soul? <--THIS POV SHIFT IS CONFUSING. I STRONGLY SUGGEST YOU CUT IT OUT AND FOCUS ON REMIE'S CONFLICT AND THE STAKES OF WHAT WOULD HAPPEN IF HE FAILED. The idea of happiness toyed with him but, despite having perfect recall, Remie La Jeunesse couldn’t remember what it actually felt like to be happy anymore. NICE OPENING. He could clearly remember the details surrounding a moment, like he was viewing an old Polaroid, but not the feeling. Playing the guitar usually offered solace. It gave him a respite from the monotony and melancholy RULING HIS LIFE. 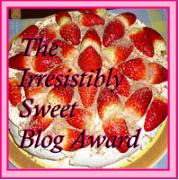 But even that had lost its flavor lately and today was no different FROM the last couple. He just wasn’t feeling it. Remie pulled the earplugs out and tossed them into the drawer that sat beneath a climate-controlled display case CONTAINING an ancient Spanish acoustic guitar. A plaque on the bottom read “La Guerrera de Cadiz, 1761.” The classic Spanish guitar hung in contrast to the one in the next case, which was a beat up red Stratocaster with black and white cross-stripes, heavily scratched and dotted with cigarette burns. Thanks for taking the time to give me such a thorough critique, Misha! I really appreciate your help polishing this! Everything I noticed as been said, so it would be pointless for me to waste your time saying it again. I'm not an expert on query letters. Actually, I hate them LOL- sorta. But I can say I loved, loved, your first 150. Very unique. Very original. and lovely descriptions. Great job. Best of luck this month with GUTGAA! I think it has grown instead of shortened but there is more info in there I suppose. Thanks so much for the kind words and for taking the time to stop by! It should be "a young woman who" not "that". Also, be aware that some agents really, really hate rhetorical questions in queries.